In this inspiring PODCAST, ten students from the Bronx Center for Science and Mathematics – a public high school in the South Bronx – and 3 students leaders share the impact of participating in a semester long daily QUESTion Class, where they addressed some of their most important questions in life. This is the first QUESTion podcast of a year-long students series on why big questions matter. 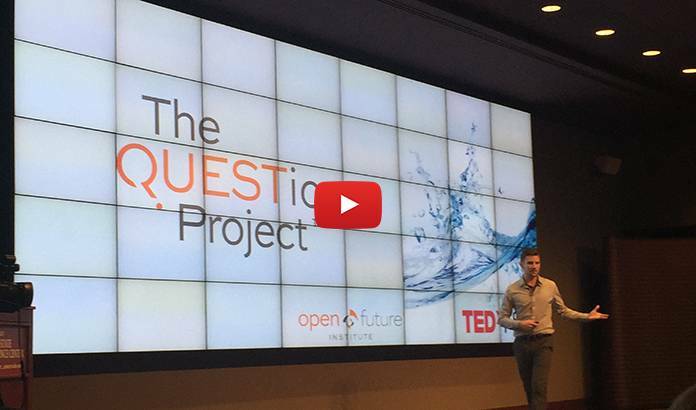 In this powerful TEDx Talk at Florida State University, Josh speaks about why big questions matter in education, and how his own journey into life questions has led him to pursue the things that matter most to him. He leaves us with his account of how an exploration into big questions has powerfully transformed a classroom in a public school in the South Bronx, NYC.